The auction firm’s contemporary art sale fell short of Christie’s. But hawking a $105 mln Warhol and an $83 mln diamond – plus boatloads of impressionists last week – provides much-needed sparkle. Activist investor Dan Loeb has made money, but his catty critique looks overdone. 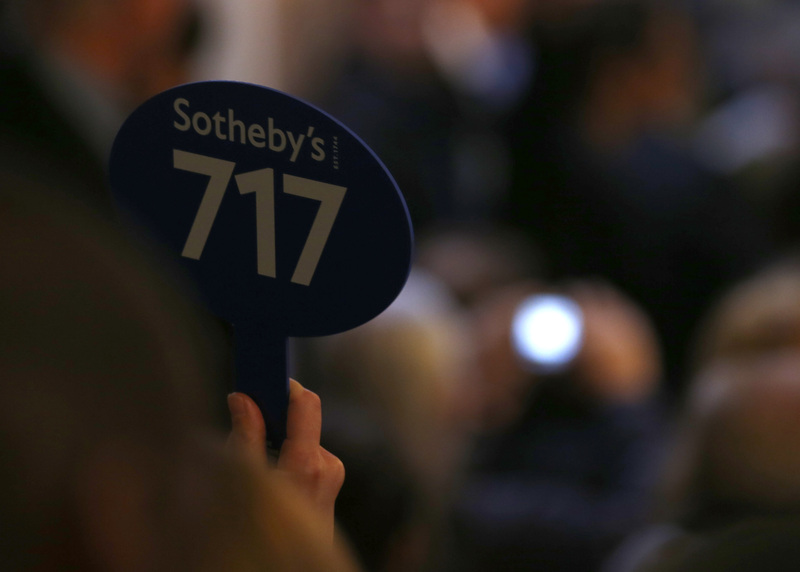 The auction of contemporary art at Sotheby’s in New York on Nov. 13 totaled $380.6 million, the highest-grossing sale in the firm’s history. The star lot was Andy Warhol’s “Silver Car Crash (Doubled Disaster),” which sold for $105.4 million, a record for the artist and well above the $80 million upper estimate. Records were also set for other artists including Cy Twombly and Brice Marden. The price for the Warhol was the second highest for a contemporary work at auction, eclipsed only by the Francis Bacon triptych sold by Christie’s for $142.4 million the night before. The Christie’s sale totaled $691.6 million. Earlier on Nov. 13, Sotheby’s sold a 59.60 carat pink diamond for $83.2 million, a world auction record for any gemstone, in a sale that reached a record total of $199.5 million. The Sotheby’s impressionist and modern art sale in New York on Nov. 6 totaled $290.2 million, a turnaround from the Christie’s auction the evening before in which some top lots went unsold in a total sale worth $144.3 million.